The Basilica of Mary Help of Christians was built in the small village Brezje in 1860, on top of ruins of an earlier church, and painting was maid of the Madonna and Child at the time. Around 1865 there were reports of many healings that occurred when venerating the image and became a popular place of pilgrimage. 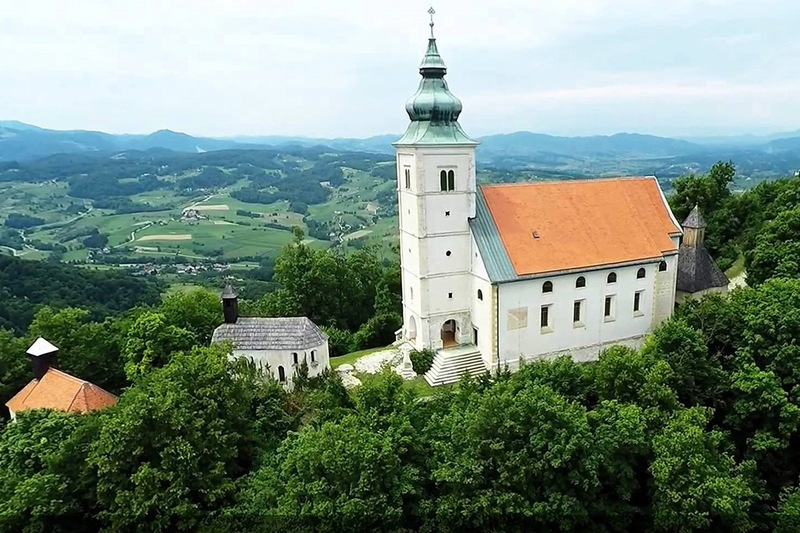 The Basilica of the Virgin Pro at Ptujska Gora is considered to be the most beautiful Gothic monument in Slovenia and one of the most popular pilgrimage sites. The imposing three-nave space and the exceptional statues and church furnishings was created at the turn of the 14th to the 15th century. 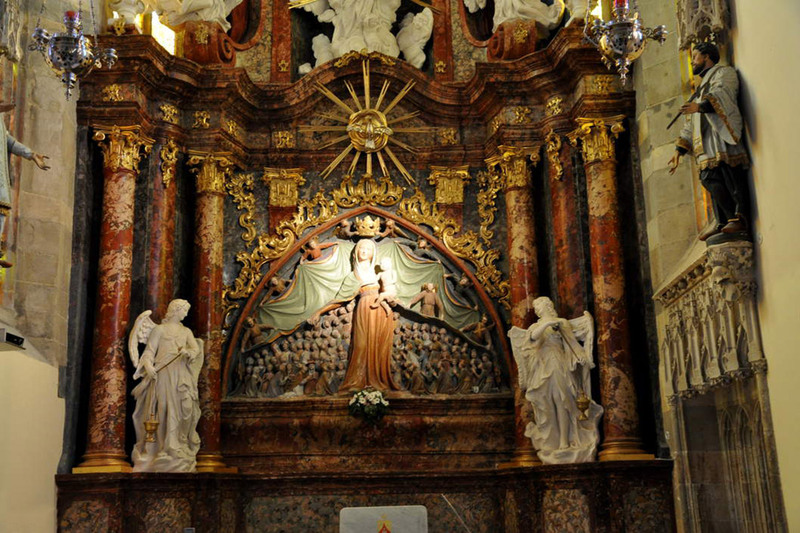 At its centre is the main altar with a graceful relief of the Virgin Protectress clad in a cloak. This relief was made around 1410, and it features 82 people. This is a unique group portrait of individuals who lived six hundred years ago. Holy Mountains or as it known Svete Gore is one of the oldest areas of worship in Slovenia, as various gods have been worshipped here for thousands of years. Here, the remains of Celtic and Roman temples and late Roman and early Slavic archaeological remains have been found. One of the oldest preserved Christian structures is St. George's Chapel, dating back to the 9th or 10th century. There, you can find writings in a script that has not yet been deciphered, and a relief of an unknown man accompanied by two hovering spheres. The Chapel of St. Martin, with Romanesque and Gothic elements, as well as the Church of St. Mary are also located in Svete Gore. The pilgrimage to Svete gore starts with Easter Monday, and the main procession is on 8 September. Ljubljana Cathedral is officially named St. Nicholas's Church. 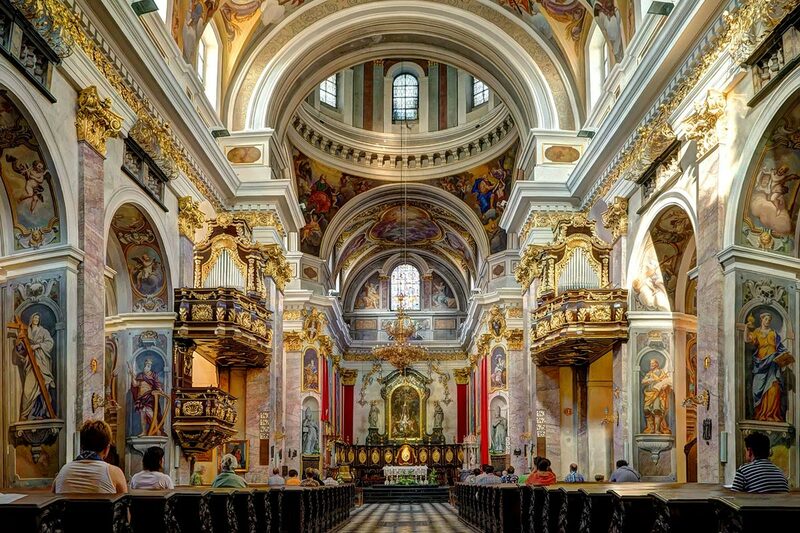 The Cathedral in Ljubljana has a Baroque interior with extravagant decorations and an exceptional example of illusionistic ceiling painting. The feeling that the shapes are alive is so strong that you will be convinced that you can see floating images above you. It is an easily recognizable landmark of the city with its green dome and twin towers and is located on Cyril and Methodius Square by the nearby Ljubljana Central Market and the Town Hall.